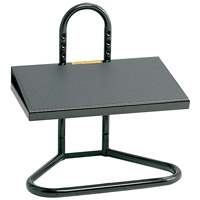 The Task Master Adjustable Foot Rest from Safco Products features a large 20" wide x 12" deep platform mounted to a sturdy tubular steel frame. The steel platform offers a comfortable 8° fixed positive tilt angle and is surfaced with an aggressive anti-slip finish for safety. 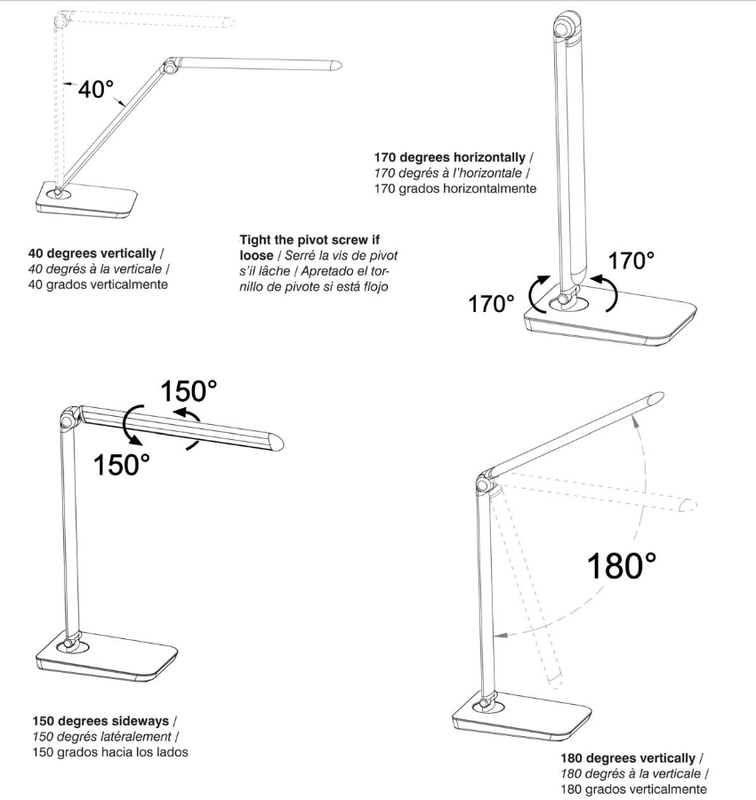 Nine 1.25" incremental height settings provide an adjustment range from 5.5" to 15" above the floor. 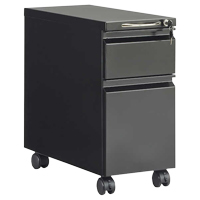 Simple locking tabs ensure a stable platform height and provide for ease of adjustment when required. This foot rest gives dangling feet a place to rest during extended periods on drafting stools and chairs. The Remedease Foot Cushion from Safco Products is a lightweight foot cushion which can be easily deployed anywhere a footrest with a significant elevation is required. 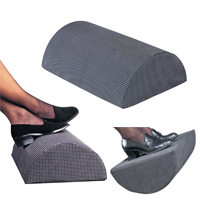 The half-cylinder design means that the Remedease Foot Cushion can be used as either a "fixed" or "rocking" footrest. 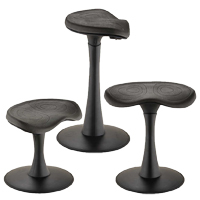 The foam core is quite firm but unlike traditional footrests does offer a limited cushioning effect. As a result it will tend to be more comfortable for users who prefer to remove footwear while at their desk. The 6.5" high Remedease is covered with a removable and machine washable nylon cover with a non-slip textured surface to keep the feet firmly in place. 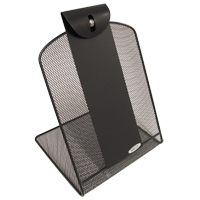 The Onyx Mesh Copyholder from Safco Products is a simple, sturdy document holder that securely holds your papers in place using a steel ball mechanism. Built entirely of steel and powder coated black for durability, the simple mesh design is both practical and elegant, making it an affordable solution for those wanting to make their office space functional without feeling excessively cluttered. This copyholder will easily hold 8.5" by 11" papers. Note: This copyholder is not designed for writing on documents. The Movable Anti-Fatigue Mat from Safco Products is designed for use on hard-surface floors and can be moved in and out below a desk using a single foot. 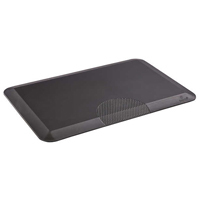 The mat is comprised of polyurethane foam with a firm but flexible upper surface. A heavily textured traction zone at the front of the mat facilitates users employing the heel or ball of the foot to move the mat, eliminating the need to bend and twist. NOTE: The Movable Anti-Fatigue Mat from Safco is designed specifically for use on hard surfaces. It Will Not work on carpeted surfaces of any sort. The Focal Twister Active Seat from Safco Products is a lightweight portable seat that encourages users to actively engage in subtle movements while still remaining seated. The Twister features a slightly curved base that enables continuous rocking movements in all directions. 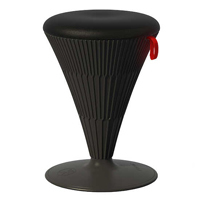 At 20" tall the Twister is suitable for use at a traditional office desk or table height. The round-edged EVA Foam seat cushion provides a comfortable seating experience, whether for just a couple of minutes or for more extended periods. The Twister is constructed with a structural polyurethane foam support column and a rubberized non-slip reinforced Nylon base. Note: The Twister Active Seat is not designed or intended as a long-term seating solution and as such should not be considered for this application. There are numerous other traditional and alternative seating solutions much better suited for long-term sitting. The Focal Brio Adjustable-Height Standing Desk from Safco Products offers workers interested in standing or leaning a compact solution that can fit even small home offices. 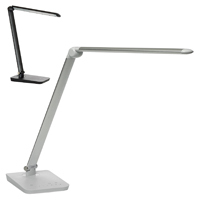 Manual height adjustment permits it to be positioned wherever is convenient, meaning it can also serve well as a temporary work location for on-the-go notebook users. The adjustable height range also means that the Brio can serve well as a podium for multiple users, while also offering a much larger usable surface than traditional podiums. 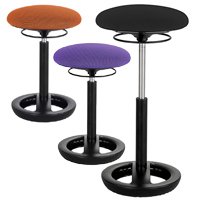 The slight angled (3°) top is also ideal for artists or designers and works especially well for those who choose to use a leaning seat such as a Mobis, Pivot, or Twixt seat. A convenient recessed cup holder offers a secure position for beverages. The top is supported by a steel column containing the precision height adjustment mechanism. 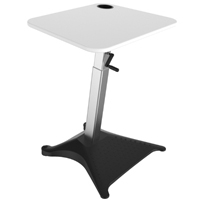 The metal base provides a 12" deep angled footrest that encourages users to change foot positioning while standing and also works well for bracing while on a leaning seat. A single rotation of the hand crank accomplishes 1/8" of height adjustment, encouraging users to make fine height adjustments throughout the day. Small wheels in the rear and a handle below the top mean that the Brio can easily be moved between locations.